A highly decorative, close textured and extremely durable solid dense concrete block. 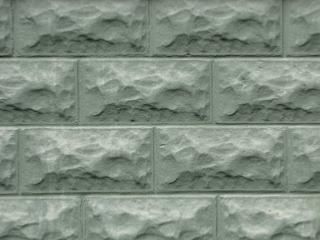 They are a light coloured facing block whose rippled rock appearance on one face makes them an attractive option for exterior facing applications. Their increased strength and density results in a very resilient and durable product with increased weatherproofing compared to a conventional dense concrete block. In common with all concrete blocks, they are not however completely waterproof which must be allowed for during design. Block Size - 440 x 215 x 100mm.